[Abi Auer | Banner] Ursie Candelario, creator of Ursie’s Apothercary, attracts customers to her stand with affordable, all-natural products. New to the Riverside community, Magnolia Center Marketplace has quickly caught the attention of those in surrounding areas. 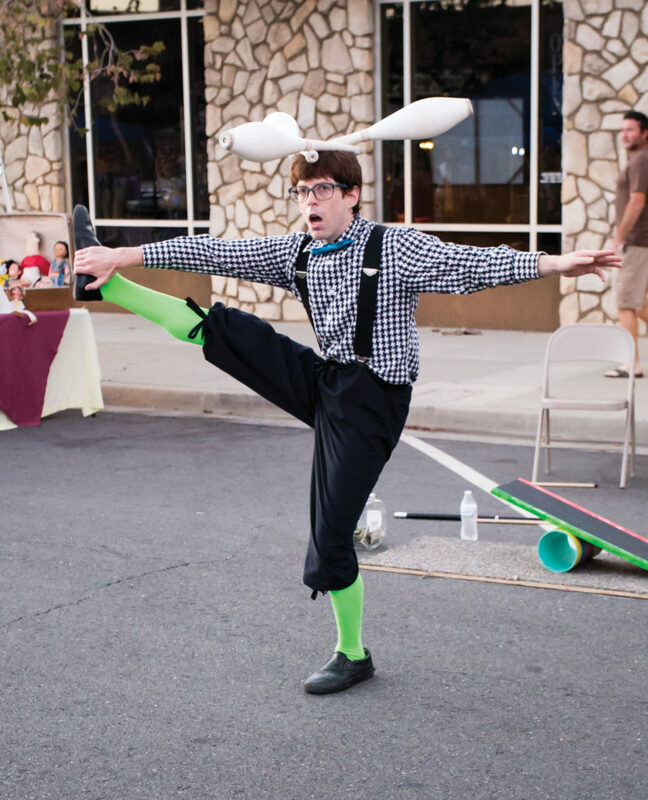 Crowds gather to spend their Friday evenings enjoying what local vendors have to offer. Since early this summer, Magnolia Center near Riverside Plaza has hosted a farmer’s market every Friday night from 6-9 p.m. Featuring local farmers and entrepreneurs, the marketplace is an event for all ages. Stands can range from food and clothes to street art and handmade cosmetics. Ursie Candelario, owner of Ursie’s Apothecary, has been with the Magnolia Center Marketplace since it started May 22, and has seen a growth in her business, as well as the event. Candelario started her business by making lip butters, and after such a positive reaction, she now has grown to create a variety of products ranging from body scrubs to facial masks. Her passion is uncanny, and her products are tested on friends, not animals. Not only are these products all-natural, but they are also friendly to a college student’s budget. 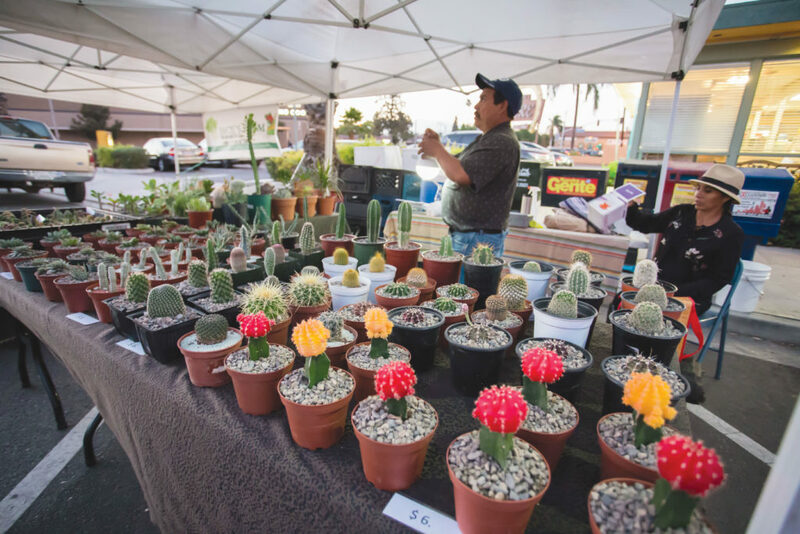 This event is filled with people who dream to have their own business, and through this farmers market, small businesses have the chance to grow their clientele and make their names known. Sallimar Lorenzana, creator of Superfood By Sallimar, an acai bowl and smoothie vendor, was introduced to acai bowls at Brazilian jiu-jitsu tournaments she attended. Lorenzana knew she always wanted to have a business of her own, and the marketplace has provided a way for those dreams to come true. Ashley Coleman, sophomore early childhood studies major, said she enjoyed the atmosphere, and could see herself going again. 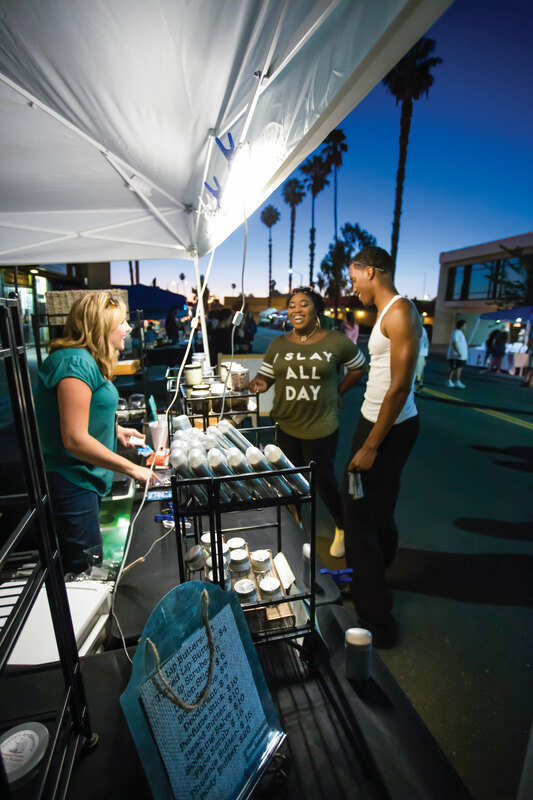 The marketplace has quickly grown in popularity and has provided a great way for locals to get plugged into their community and help support local businesses. Raven Thomas, a devout Magnolia Center Marketplace regular, discovered this event through a friend. Different businesses come to the marketplace weekly, keeping the event fresh. With such a variety of products presented, every person will be able to find something of interest.